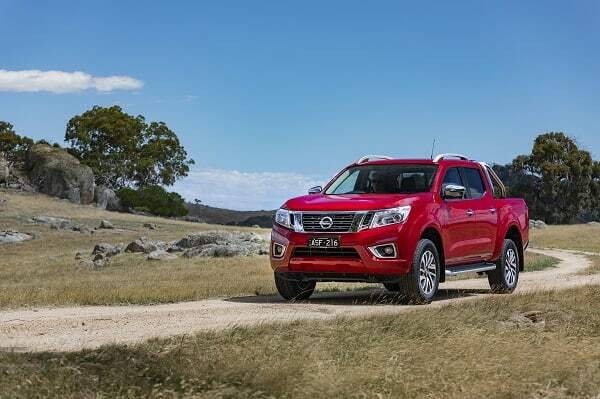 Nissan has introduced another significant mechanical and specification update for its all-important Navara – its second since the new generation was released just three years ago – in an effort to better tailor the one-tonne ute to the Australian market. This ‘Series III’ overhaul follows suspension changes introduced a year ago that addressed criticism of the vehicle’s ride and handling – specifically, dual cab models with the five-link coil-spring rear suspension. More local testing has led to further modifications to dual cab SL, ST and ST-X grades with the rear suspension, aimed at further improving ride comfort and dynamic performance. This includes the adoption of a dual-rate rear spring system, a fresh round of suspension retuning and a faster steering gear ratio, with Nissan describing the overall result as offering “a more refined and confident driving experience”. The Japanese brand has also introduced technology and safety improvements, including the fitment of an around-view monitor on ST-X dual cab and king cab model lines, and the broader availability of a rear-view camera across the 35-variant Navara range. Some 27 variants are now fitted standard with a reversing camera, which is integrated into the infotainment screen on SL, ST and ST-X pick-ups, and within the rear-vision mirror on RX pick-up variants. Cab chassis variants are now the only Navaras to miss out on a reversing camera. Among other changes, a digital speedo has come on stream for SL, ST and ST-X grades, satellite navigation is now standard on ST king cab (bringing it into line with the dual cab) and two Isofix child seat mounting points are positioned on the outboard rear seats of all double cab variants. A $1500 leather seat option is also now available on ST-X dual cab and king cab (with auto) variants. As well as the cowhide, this includes eight-way power adjustment for the driver’s seat (including lumbar) and heating for both front positions. In the tub, lower-positioned tie-down hooks are provided on RX, SL and ST pick-ups, while four-additional lashing points are provided on ST-X variants with the Utili-track system. Navara’s powertrain line-up remains unchanged, continuing with a 2.3-litre four-cylinder diesel engine in single and twin-turbo format – the single offering 120kW/403Nm and the bi-turbo producing 140kW/450Nm. Both combine with a six-speed manual as standard or a seven-speed automatic as an option. Nissan says the extra equipment with the latest update has pushed prices up between $200 and $500 on eight variants (RX 4×4 king cab manual pick-up and seven dual cabs across RX and ST grades), with the others remaining unchanged.